On Thursday, the federal judge overseeing the NFL concussion settlement denied an appeal filed by the family of a deceased former player with CTE. Under the terms of the settlement, that CTE diagnosis could have been worth as much as $4 million. The reason for the denial? The player’s family missed the deadline for getting a CTE diagnosis due to circumstances completely beyond their control. Those circumstances? The medical examiner’s office that did an autopsy on the player initially informed the player’s family that no brain tissue had been preserved so it could be examined for the presence of CTE. The family of the player had properly registered for the settlement and filed a timely claim. But only after the family reached out a second time—without the assistance of the law firm they had hired to help with navigating their claim, which also happens to be the co-lead counsel for the settlement class—were they informed that the brain tissue had indeed been preserved. And by the time the family—again, without assistance of counsel—got a CTE diagnosis from a board-certified neuropathologist, it was three months after the settlement claim’s deadline. Ron Holmes with Broncos in 1989. The case involves Ronald Holmes, a defensive end who was a first-round draft pick of the Buccaneers in 1985. Holmes played eight seasons with the Bucs and Broncos, and was a starter for the Broncos in their Super Bowl 24 loss to the 49ers. Holmes died on Oct. 27, 2011, at the age of 48. His Seattle Times obituary attributed his death to diabetes and coronary issues. The timeline of what happened next, all of which is culled from court documents, is important here. Nearly two years later, in August 2013, Holmes’s family hired Anapol Weiss, the co-lead class counsel on the settlement, to pursue a possible claim against the NFL. For some reason, it took seven months—until March 2014—for Anapol Weiss to inquire as to whether the medical examiner’s office had preserved Holmes’s brain tissue. The M.E.’s office replied to say none was preserved. In April 2015, the family reached out to the M.E.’s office again, without the help of Anapol Weiss. This time, they were told Holmes’s brain tissue did indeed exist. In June 2015, the family shipped the brain tissue slides from Holmes’s autopsy to Ronald Hamilton, a board-certified neuropathologist at the University of Pittsburgh. Hamilton received those slides on June 10, 2015. On Aug. 4, 2015, Hamilton diagnosed Holmes with CTE. On April 11, 2017, Holmes’s family filed a settlement claim, less than three weeks after the start of the claims process. The claim was denied by the administrator on June 13, 2017. On July 11, the family submitted an appeal to the special master. That appeal was denied on Dec. 22. A Qualifying Diagnosis of Death with CTE shall be made only for Retired NFL Football Players who died prior to the Final Approval Date, through a post- mortem diagnosis made by a board-certified neuropathologist prior to the Final Approval Date [April 22, 2015], provided that a Retired NFL Football Player who died between July 7, 2014 and the Final Approval Date shall have until 270 days from his date of death to obtain such a post-mortem diagnosis. Holmes’s family missed that April 22, 2015, deadline by less than three months. Even though they only learned the medical examiner’s office had preserved Ronald’s brain tissue during the same month as the deadline—more than three years after Ronald died and had an autopsy done, and more than a year after the family’s lawyer reached out to see if the brain tissue still existed. 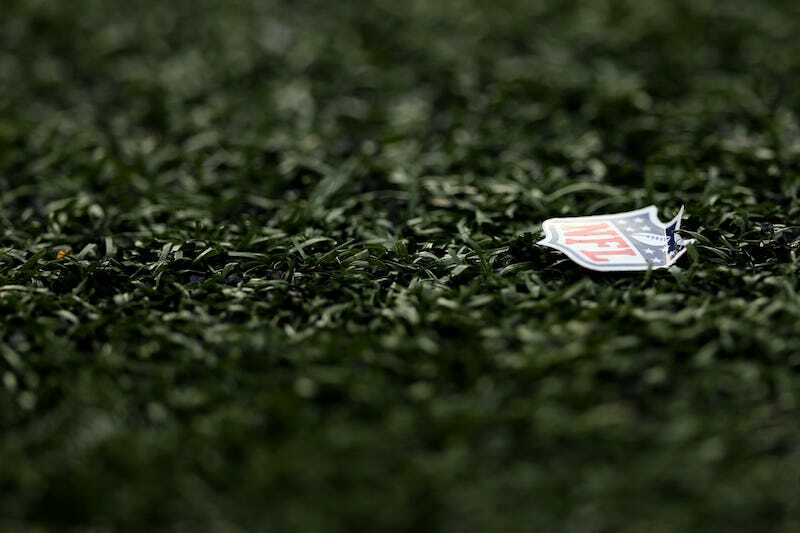 Including an exception to the diagnosis deadline would have been a simple, reasonable stipulation for the NFL and the class members, who are led by lawyer Christopher Seeger, to have included in the settlement agreement. Yet it’s not there. The claims process has been a nightmare for many claimants, particularly those with dementia who are being nickel-and-dimed by the NFL because they typically might still have frequent moments of lucidity. As of Monday, the last day for which a claims report is available, Holmes appears to be one of two claimants to have had a death with CTE claim denied because of a missed deadline. Judge Brody’s order denying the Holmes family motion is below.